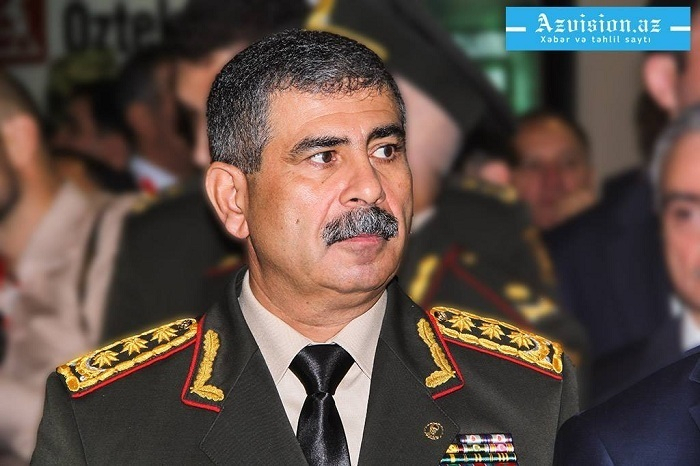 About 20 percent of the Azerbaijani army defeated the whole Armenian army within 3-4 days during the April battles in 2016, Azerbaijani Defense Minister, Colonel General Zakir Hasanov said in an interview with a state-run TV channel, AzVision.az reports. He noted, the Azerbaijani army suffered losses three times less than the Armenian side. “Every Azerbaijani martyr is dear to us. But we have no other way; we must protect our motherland. We launched a counteroffensive immediately after the direct fighting with the enemy at night. Our army demonstrated high combat capability. Our wounded servicemen did not leave the battlefield,” the minister said. Hasanov stressed that a small part of the Azerbaijani army defeated the Armenian army within 3 days. “On the fourth day of the battles, Armenian attempted to launch an attack in one direction. However, they failed again as they had no strength,” he said.